The Chief Minister is the Captain of Team Odisha and the principal goal of the “Team” is to provide necessary synergies and convergence of all Government efforts to ensure Odisha’s position at the vanguard of economic and social prosperity. The combination of two words “Team” & “Odisha” embodies the spirit behind every effort that is made towards furthering investment climate and promoting entrepreneurship in the state. All this Open Tender Notices from Odisha State are available on Odisha Tenders webpage. This Orissa state Govt Tenders covers all Open Tender Notices Published State Government Department, Local Bodies, Corporations & Boards. Bidders can also get daily email Alerts for Orissa Tenders. To view all India Tenders Bidders needs to visit Tender Details. 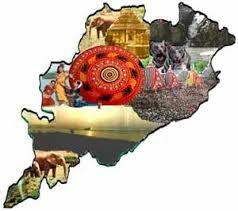 Orissa State gives more opportunities for your business.